One of my players made this. Just for share! One can’t have too many sheets. cool! I like excel sheets! This is awesome! I love spreadsheets. I made a Google Sheet for loot that lets you select the type of loot and then you can enter the loot roll to see what they get. It made giving out loot a snap. Maybe I’ll share a spreadsheet with just my formulas at some point. That way people can use them with whatever tables they have. DMChef did something similar before, but didn’t share it publicly as it breaks Hank’s copyright. 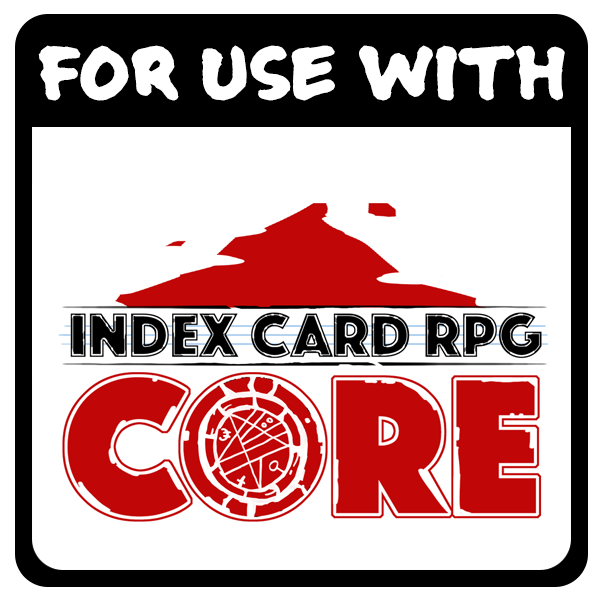 I created quick character cards using the example characters in CORE before, but was sure to get permission from Hank before I posted them. That was really stupid of me, I wasn’t even thinking. The post was already hidden, but I also deleted the public file. I feel pretty awful right now because I really like Hank and I love this game. I really wouldn’t want to do anything against it. I wouldn’t worry about it. It can be easily done in a community that promotes creativity and sharing. Yeah man, don’t even worry about it. We are super glad to have you as part of the community!!! We will all be excited when you come up with custom loot in a cool roller for folks!